AGOURA HILLS, Calif. (KABC) -- Caltrans is asking for the public's opinion on a proposed wildlife crossing bridge that would be built over the 101 Freeway in Agoura Hills in an effort to protect wildlife populations. The bridge, which is being considered in the Liberty Canyon area, would be the first of its kind in the state. Caltrans released an initial study on the proposed project. Those in support of the bridge believe it is necessary to improve wildlife that are on both ends of the freeway. It is considered a barrier to animals and isolates animal populations on both ends of the roadway. 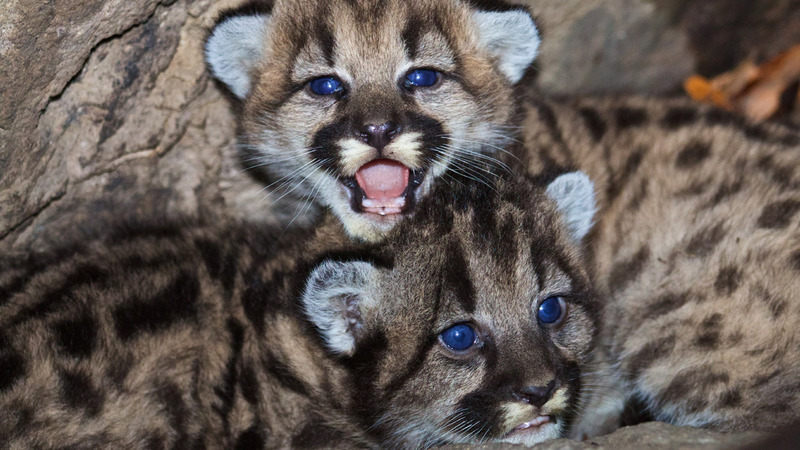 That isolation has led to inbreeding for mountain lions and a lack of genetic diversity. With the help of the bridge, wildlife activists hope it can promote more diversity for mountain lions to keep their species alive in the area. A 2016 study found the mountain lion population in the Santa Monica Mountain range faces extinction within the next 50 years if there is no increase in genetic diversity. Supports believe the bridge will also prevent car crashes and injuries to drivers as well as stop animals from dying after being hit by vehicles when they attempt to cross the freeway. Fundraising efforts are already underway by the National Wildlife Federation and Santa Monica Mountains Fund, and Caltrans said no public funds would be diverted from other projects to build the bridge. If you would like to view the impact report and leave comments for Caltrans, you may do so by clicking here. A public hearing will also be held on Oct. 12 at 6 p.m. at King Gillette Ranch Auditorium, 26800 Mullholand Highway, in Calabasas.